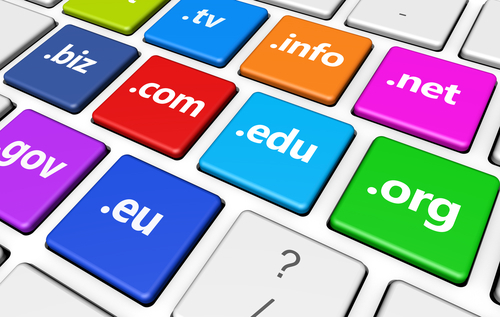 Choosing a domain name for your company website may not be as easy as you think. Consider the time it took for you to settle on the name of your business. Undoubtedly, a lot of thought went into it, even if it was based on a family name. Did you go with tradition? Did you create something totally unique? Clearly, your business name is incredibly important. Therefore, your company website’s domain name should be considered just as integral to your branding. MeloTel.com may have been an easy decision for our company website. However, there is more than MeloTel than may instantly hit the eye. Our Founder and CEO, John Meloche decided that it was important to him that his company name had a family element to it. As you can see, the first four letters of his family name represent the first four letters of his business name. Naturally, adding the “tel” from telecom or telephone (take your pick) made the most sense for his company name. But what if your business name is a long one? John’s Telephone Equipment & Repair Shop would sensibly need to come up with a domain name that is much shorter and sweeter. The “short and sweet” aspect of domain names goes a long way. It helps for people to easily remember the web address without writing it down. It’s also important for people to be able to recall a company’s website after hearing it. If the domain name needs to be spelled out when uttered verbally, it just makes it harder to find. Should you use a .com or a .ca? If you’re Canadian business that deals only with Canadian customers, your best bet is selecting a domain name that ends with .ca. The extension is one that specifically connotes that you are a Canadian business that serves Canadians only. Going with a .com address still allows your business to be easily accessible in Canada, however, it declares that you extend your services to consumers worldwide. As MeloTel is a telecom provider for business owners in both Canada and the United States, we decided that going with a .com domain name made the most sense for our company website. However, our team is also dedicated to helping you find the perfect domain name of your company website. Let’s get started today! For information about our Domain, Email & Web Hosting services, please don’t hesitate to contact us at 1-888-MELOTEL or use the Live Chat feature on our website!